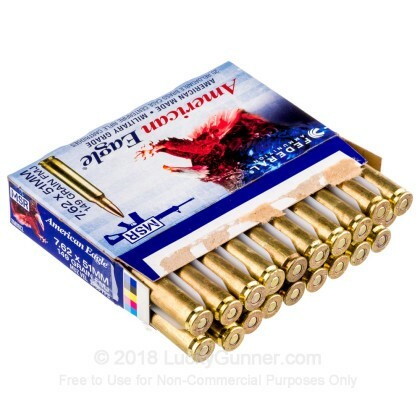 Manufactured at the Lake City factory, this mil-spec product is brand new, brass-cased, boxer-primed, non-corrosive, and reloadable. 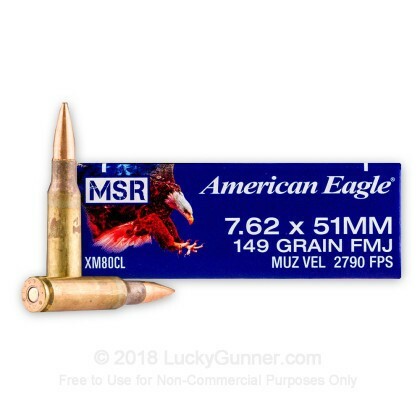 It is a staple range and target practice ammunition. 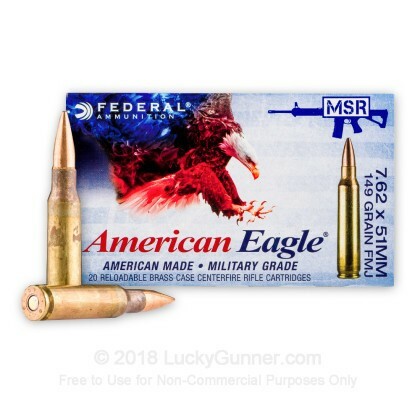 This is top of the line, American-made range ammo made by ATK at the Lake City Army Ammunition Plant (ATK is the same company that makes Speer Lawman, CCI, Blazer Brass, etc) - it doesn't get any better. 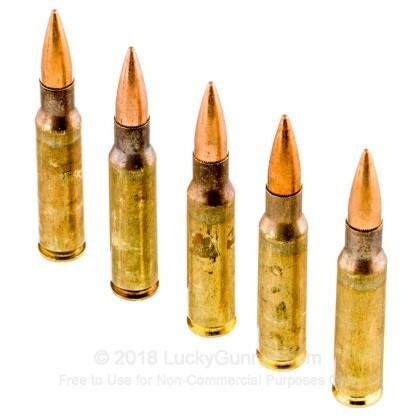 Note: This product contains steel in the projectile (this brass is magnetic) as it is made to military specifications. Additionally, this brass is manufactured on mil-spec production lines which require evidence of the annealing process be left on the brass near the neck of the casing. This is the darker residue that is visually noticeable around the case neck. Both commercial and mil-spec brass undergoes this same annealing process which make the brass stronger and less brittle. The annealing process essentially runs the brass through a series of flames which heat the brass having the affect of re-strengthening it in its final shape. Commercial brass is then re-cleaned after it has been annealed to make it cosmetically more appealing for the commercial market. 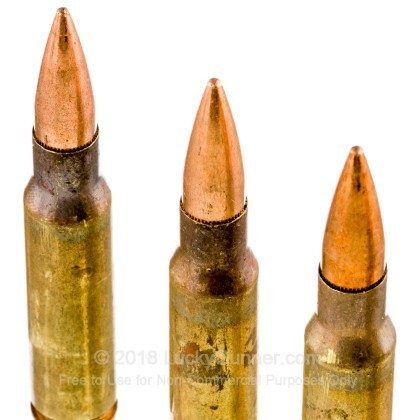 Military requirements on the other hand place a larger emphasis on the structural integrity of the casing so they require that evidence that the brass has been annealed remain on the brass. I highly recommend this round! 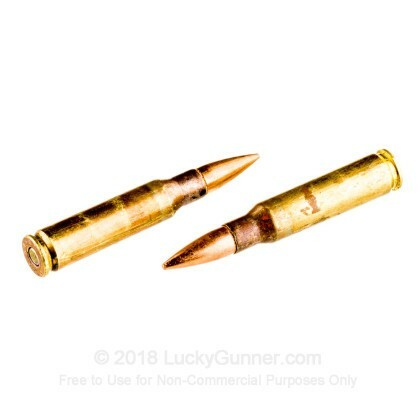 I bought 500 rounds from Lucky Gunner a year or so ago. Using an HK PSG-1 with a Nikon M-308 BDC scope, this round can easily and regularly knock the head off a bowling pin at 300 meters. As such, I purchased some more! It’s accurate and inexpensive! Need I say more!